Re-entry back to work overall has been good. I’m really tired, but I knew that I would be. I fall asleep before 9pm, and wake up to my grounding morning rhythms of reading, journaling, yoga, and making breakfast before walking across the street to school. Currently, during professional development, we have an hour off for lunch so Chels and I walk back to our apartment and eat lunch before going back to school for the afternoon. 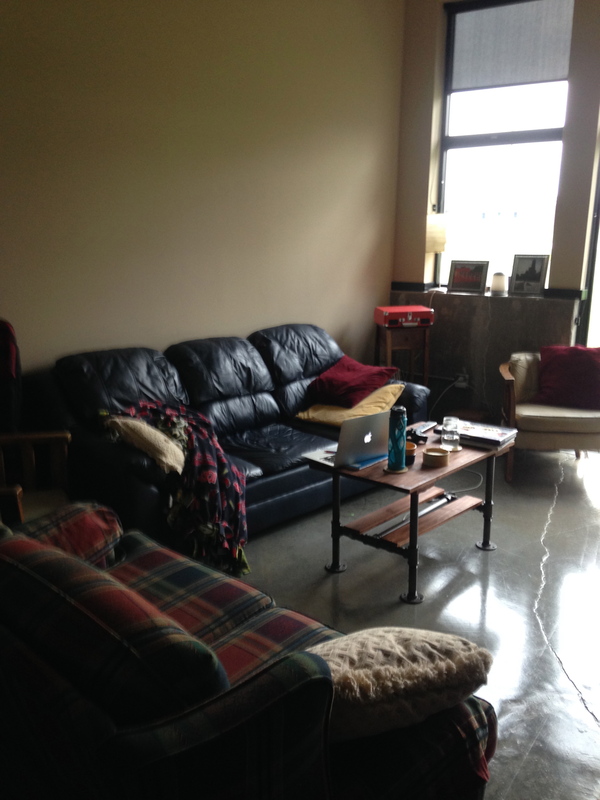 We love that our apartment is clean, calming, and relaxing to come home to. The last week it has provided a set amount of time to process the morning and mentally prepare for the afternoon, while eating a meal slowly. After work includes lifting weights together, making dinner, reading or a small apartment project that still isn’t done. Our goal is to have everything hung on the wall and all furniture put together by next weekend before school starts. I see glimpses of what I’ve internalized in being sick. I care more about my life outside of work. I know my lifestyle needs to be sustainable. I enjoy the simple aspects of everyday life. My life has simplified in so many ways. In short: I know who I am, I know my limits, and I’ve learned to enjoy the healthy things I need to do so I can be as healthy as possible. In many ways, I’m proud of that last statement. Because I used to despise all the healthy things I had to do in order to function well, while everyone else didn’t have to think about what they ate or conserving energy. Now, it’s a lot easier to accept what my life has become. And I’m a much healthier person because of it, even if I have to say no to many other things. Getting a job and moving bumped right up next to each other. 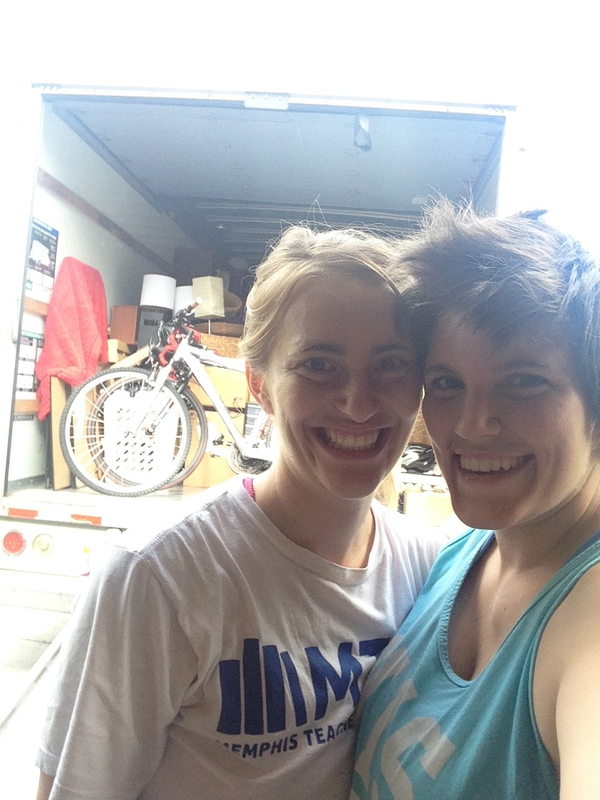 Chels and I moved this past week and quickly got settled in because professional development starts today! There’s lots of new in both of our lives-but we love coming home-to our place. Two years ago the Triple A Indy Indians old baseball stadium was renovated into apartments. We just happen to have a first floor apartment that has a backyard patio on the baseball field. We are excited for our patio furniture to be delivered. We are both tired. It’s been a busy week. But we’re glad that this past weekend has meant naps, Saturday night movies, filling up our fridge and hanging pictures. And Monday morning just means a walk across the street to school. Thanks for celebrating with us. 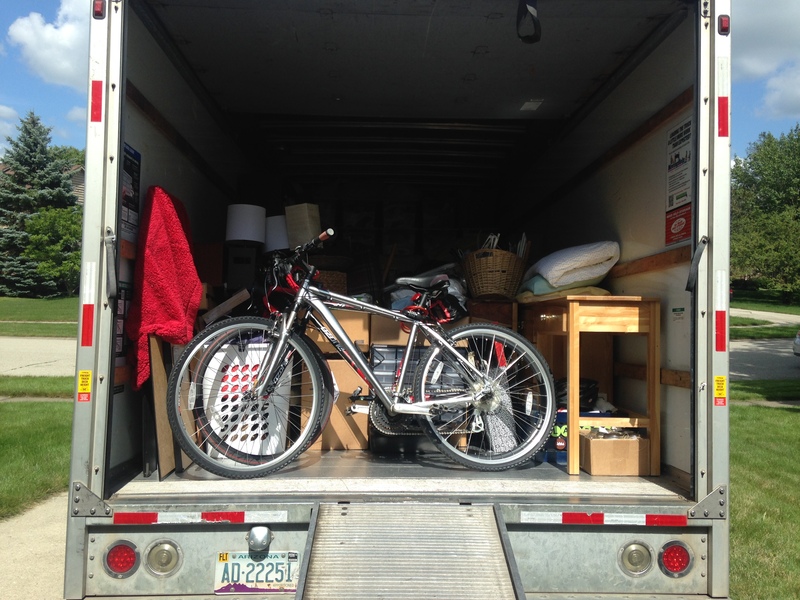 This move largely means a new start for both of us and we are excited. Last week, I wrote about landing a job interview. Well, actually I had two. 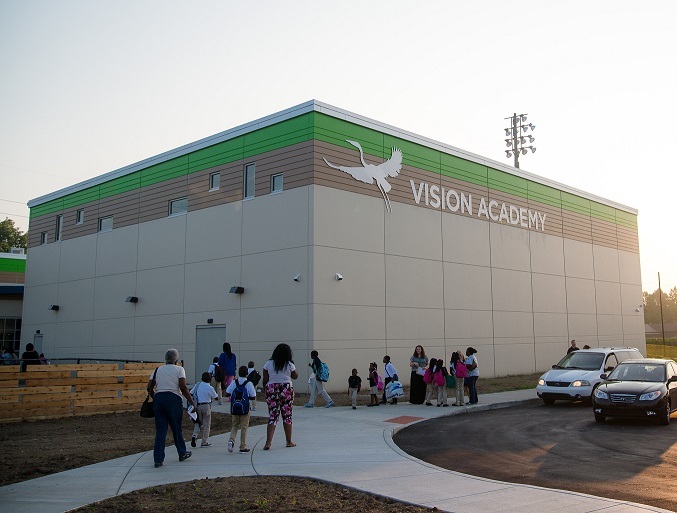 And I accepted a job as an interventionist at Vision Academy, a charter school just northwest of downtown Indy. It still feels surreal, especially because professional development starts in one week! Six months ago, I couldn’t imagine being in this position. I couldn’t imagine working. I couldn’t imagine being back at a charter school. I have my natural worries of going back to work after an 8 month hiatus, but nothing too out of the ordinary. Instead, I’ve been able to be excited and celebrate. Chels took me out to lunch and I got a bison burger over a really yummy salad and she splurged in getting me a pint of coconut milk ice cream. There are bittersweet feelings in this news too. Saying yes to Vision Academy means saying no to the Oaks. A few weeks ago, I tested positive for internal mold and I continue to learn about everyday mold exposure along with chemical sensitivities I have. I believe subbing at the Oaks two months ago made me exhausted because of mold exposure. I’m glad that Vision Academy is a new construction and when I toured the building, I felt fine afterwards! The Oaks was a school I hoped to stay at for the longterm, yet because of health reasons, that isn’t the case anymore. Celebrating means taking note in everyday tasks that I am feeling better. Not every day, not all the time, but significantly better. I can think more clearly, organize information efficiently, have greater energy hanging out in a bigger group of people, not have to lay down mid-day everyday, have energy to cook (and clean up! ), have energy to research new things to implement to improve my health even more. Taking this job is a good risk, a thoughtful and joyful risk. I am ready to go back to work. Yet, as I meant with my spiritual director yesterday, we talked about the seasons of life. How intense loneliness and waiting is now bearing fruit. How the longing to be settled and rooted runs deep within me. How this season is going to be more busy, and yet solitude in the midst of activity is essential. As I re-enter the work world, I want to do so differently. I want working to reflect that I’ve taken 8 months off because of sickness. That my students know the importance of rest, thinking deeply, that I’ve created a nurturing environment for them to work and fail and succeed. That I will speak to them more quietly, in a gentler tone, and with greater compassion and love. I’m back. I’ve taken a blogging break and I’ve needed to. It’s been a period of lament and celebration. A time of tears. A time of desiring to be comforted and defended. A time of self-care. -I spent some time writing, specifically submitting articles to a chronic illness online support group. -I purchased a 2 week yoga pass and went to several classes. -I hosted a dear friend from Chicago. -I decided on a spiritual director to meet with at least for the next year. -I ate at yummy restaurants and shopped at farmer’s markets. It’s been a full month. I’ve felt overwhelmed and defensive at times, and at other times incredibly thankful for the present moment. There have been times of rich enjoyment and suffocating sadness. Many moments I’ve felt like I’m drowning, but I wasn’t. I’m just learning not to be anxious about tomorrow. 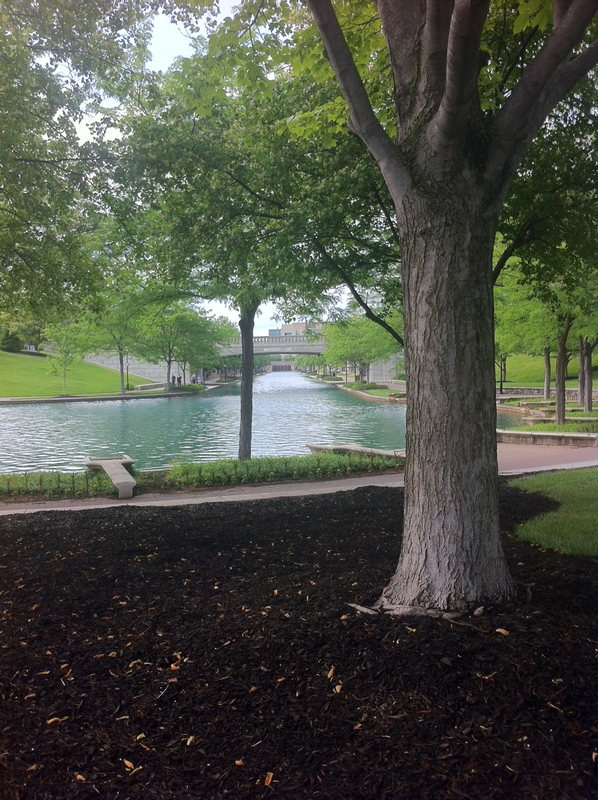 As you step into your calling this summer, but particularly tomorrow, may you feel deeply, enjoying life to the fullest, yet grieving at wrongs committed. May you choose to see what is true, to discern your heart’s wanderings, to laugh. May your life be preserved as you journey in feeling deeply, as you pray your deepest longings. What emotions resonate most deeply with you now? How are you growing in feeling deeply?